Witch right now. Witch right now. I could use some spears or some monsters or a witch, or to get back to some gaming apps much simpler than this. Because after all the crashin' and matchin' and thrashin', the monster bombin' and the droppin' and hack-and-slashin'... Okay, that's enough of that. 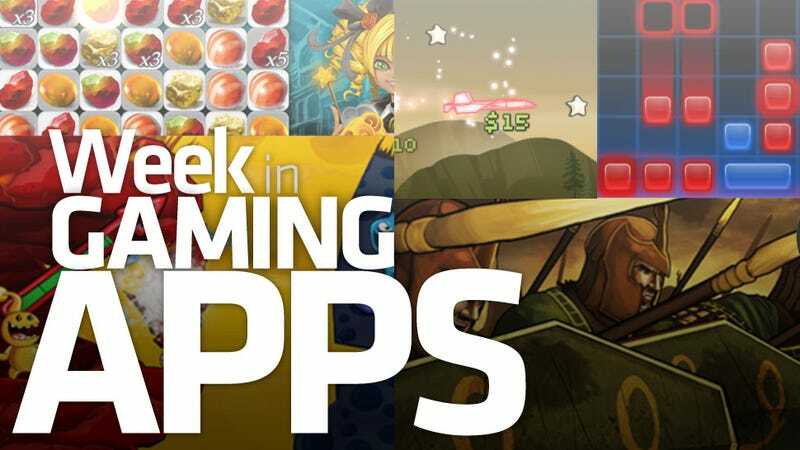 It's the Week in Gaming Apps! Hey, at least it wasn't another damn "Call Me Maybe" parody, right? It's been a crazy week filled with strange and wonderful gaming apps for iOS, Android and Windows Phone 7, so excuse me if I let off a little steam the only way my mother ever taught me — by writing to the beat of an overplayed song from 2010. What can I say, my mother was a visionary. As were the developers of this week's Gaming App of the Day entries, five rich and varied titles, several of which play on the mechanics of other, more successful games. With the exception of Flight and Ravenmark, it's like Zynga theme week up in here. Too soon?